We are less than a week away from one of the most important elections of our lifetimes where there are more women, first time candidates, and people of color on the ballot and it is time to turn #IWillVote into #IVoted. This election will determine which party controls the House of Representatives, the Senate, the Maryland Governor’s Mansion, Maryland Attorney General and Comptroller, the House of Delegates, the Maryland Senate, and countless local races. Each of these offices will have a direct impact on our lives over the course of the next 2-4 years. our lifetimes where there are more women, first time candidates, and people of color on the ballot and it is time to turn #IWillVote into #IVoted. This election will determine which party controls the House of Representatives, the Senate, the Maryland Governor’s Mansion, Maryland Attorney General and Comptroller, the House of Delegates, the Maryland Senate, and countless local races. Each of these offices will have a direct impact on our lives over the course of the next 2-4 years. Control of Congress is up for grabs and it is essential that Democrats take back at least one chamber to provide an adequate check on presidential power which Republicans have failed to do. Retaking the majority is essential to supporting factfinding investigations about the countless Trump Administration scandals that have gone unchecked under Republican leadership. Maryland needs to support the phenomenal Democrats running for Congress to protect Maryland from the next two years of the Trump presidency. The Governor’s Mansion and General Assembly are incredibly important to ensuring we enact progressive policies that will benefit the lives of every Marylander. 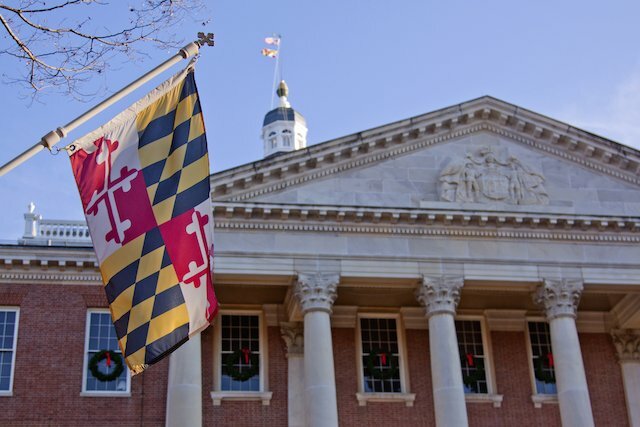 I am incredibly proud of the Democratic campaigns running across the state that have led positive campaigns promising positive change in Maryland, rather than the fearmongering we have seen from the Maryland Republican Party. Ben Jealous, Susie Turnbull, Brian Frosh, Ben Cardin and candidates across the state will work tirelessly for Marylanders and their values. This year, they need your support and are counting on you to show up at the polls. As college students, our demographic tends to be ignored because we are less likely to show up at the polls, especially in a midterm year. If there is anything that I have learned when talking with our chapters across the state it is that students are fired up for this year’s election. There are countless issues that will affect each and every one of us. The Republicans in Congress have shown us how they really feel about the #MeToo movement and supporting women when they chose to confirm Brett Kavanaugh to the Supreme Court. Governor Hogan showed us how he really felt about public schools when he called teachers “thugs” and has proposed countless cuts to public school funding. This year college students and millennials as a whole have the power to shift this year’s election by supporting candidates who share our values. College students will change the political dynamic by exercising their right to vote and taking control of their future. The policies and decisions of today have the power to affect our future for not just the next four years, but for decades to come. The stakes are too high in this election to simply sit on the sideline. To ensure you are able to cast your ballot, here are some helpful tips for Election Day. Check your schedule and figure out the best time for you to go, whether that is before class, after work, or on your way home. Bring friends! Be sure to remind your friends, classmates, and family members to vote too by texting, calling and bringing them to the polls! Last chance to volunteer! Sign up here to help remind others to cast their ballot too! The only way to ensure your voice gets heard is to elect candidates who share your values and will put Maryland on the right path. There are countless Democrats across the state who are excited to fight for you, but they need your support on November 6th! Maryland is one of the bluest states in the country, but in 2014 we elected Republican Larry Hogan to the governorship and we are on the verge of re-electing him in 2018. Governor Hogan commands an impressive approval rating at 71% according to the latest Washington Post/ University of Maryland poll. In order for Democrats to take back the Governor’s Mansion in Maryland, we have to showcase how Hogan has failed Marylanders. After viewing his “Maryland Strong” ad, viewers might be left with the impression that Hogan has singlehandedly brought Maryland forward, but a review of the facts lays credit elsewhere. Hogan’s predecessor, Governor O’Malley, served from 2006-2014 and two years into his term the nation entered the Great Recession. Hogan’s ad cherry picks data from one of the most difficult economic crises in an effort to mislead viewers. His claim that “over 100,000 jobs lost” is actually from 2007-2010, the height of the Great Recession. His claim of over “$1.2 billion in tax relief” includes hundreds of millions of dollars in tax relief passed by the Democratic legislature and already existing programs. The Baltimore Sun notes how that claim even includes “$240 million that the Supreme Court ordered the state to return to taxpayers who were overcharged on their income taxes.” Governor Hogan is deliberately trying to mislead voters and in a time of fake news, the facts matter. With the understanding that Republicans are outnumbered 2-1 in voter registration, the Hogan Administration has avoided risk and controversy whenever possible. Countless bills have come across his desk and become law without his signature. Marylanders need a governor who will be an active leader in our state. Governor Hogan sided with Trump in 2016 when he declared he would not be allowing Syrian refugees into our state. This decision was based on factual inaccuracies and fearmongering. Hogan tries to distance himself from President Trump, but has no problem stumping for Trump approved candidates, such as Ed Gillespie of Virginia. Maryland needs a governor who will stand up to President Trump. On education, Governor Hogan has proposed tens of millions of dollars in cuts to education spending. Cuts that hurt teacher salaries and increase class sizes. While proposing budget cuts for public schools, Hogan has ensured that he will continue the policies of U.S. Secretary of Education Betsy DeVos by diverting funds away from public schools and into private charter schools. Governor Hogan is not a friend to teachers. He has called teachers “union thugs” and opposed having public school teachers on the Maryland Board of Education. Governor Hogan also enjoys an A- rating from the NRA and accepted thousands of dollars from the NRA in campaign contributions. Governor Hogan opposed legislation banning guns on college campuses and even common-sense legislation that would ban bump-stocks in Maryland. We need a governor who will support legislation that protects Marylanders from gun violence, especially when Congress remains inactive in this crucial area. Ben Jealous is the Governor Maryland needs. 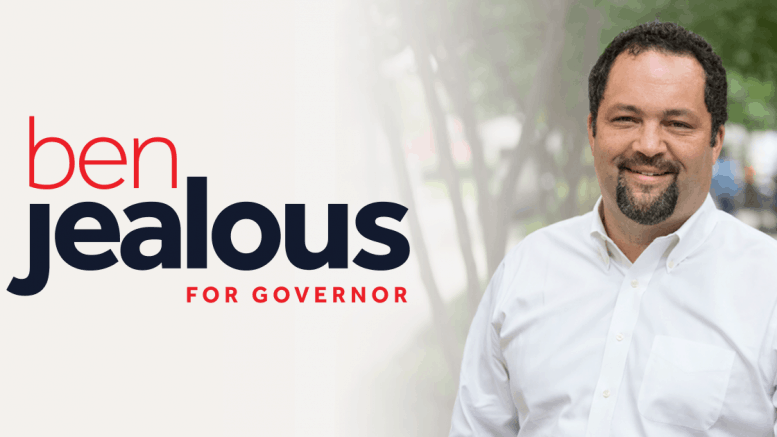 Mr. Jealous brings the necessary experience for the job as the former President and CEO of the NAACP and his successful campaigns to abolish the death penalty, expand voting rights, and pass marriage equality. Mr. Jealous will work to promote public education by investing in our teachers and students. He will fight for every Marylander to have access to healthcare, work towards ending the student debt crisis, and promote strong economic growth in Maryland. I look forward to working with my fellow College Democrats as we talk with voters about issues they care about most and retake the Governor’s Mansion this Novemeber.